How many episodes of Californication have you seen? Charlie Runkle: I have an offer for you! Q: How did Hank damage the front right light in his old Porsche? Duchovny's Back and He's Got the Goods! I can't remember when I laughed so steadily from start to finish of a new show. Family Guy? Perhaps. In Californication Showtime has one of its strongest hits . . . ever. The writing is bitingly crisp, intelligent and fresh. 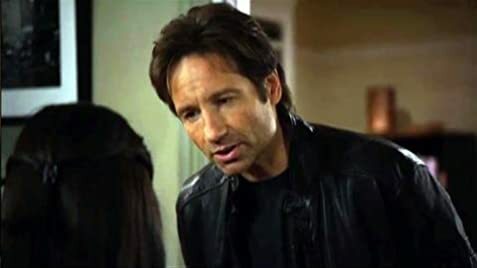 Duchovny's delivery has the timing of a master comic actor and his portrayal of Hank is winning. 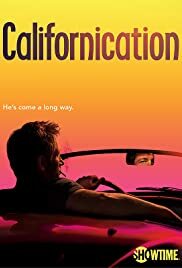 As with the very best of comedies, beneath the bubbly surface of Californication is a show that in a single episode reveals richly drawn characters of depth and purpose. Hank's lecherousness, womanizing, wry wit and in-your-face bluntness succeed only partially in covering up a complex (or perhaps merely complicated?) man who appears to be facing all of his mid life crisis's at once. Every note in this comic symphony was perfectly struck and I look forward to getting to know Hank - and the rest of his gang - better as the weeks go by. Bravo Showtime! 127 of 173 people found this review helpful. Was this review helpful to you?